National Director Agency at Colliers International, The Netherlands. Experience in commercial real estate for more than 15 years, as a real estate agent for lease, sale and investments. Highly interested in offices and care. Clients are mostly national and international. Commercial driven, always searching for ways to improve. Looking for the personal aspects in business relations. Member of the EMEA Offices Group. Member of the Board at NVM Business​. Growth Agency Amsterdam with 50% in 2016-2018, No 1 market position Eindhoven, strong growth Agency Rotterdam. Olivier is director of Agency Amsterdam. In this role he advises different types of (corporate) clients on real estate with negotiations on the acquisition and disposition of commercial real estate. Furthermore he advises private equity, institutional and private real estate investors with buying and selling office properties in the Netherlands. 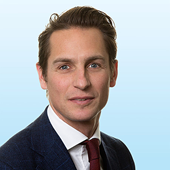 Olivier holds a master degree in corporate Law (LLM). We offer integrated brokerage/transaction services designed specifically to fit landlord needs. Our understanding of the dynamics of local real estate markets around the globe enables owners to create maximum value for their asset or portfolio of assets. We analyze each tenant's business objectives and match them with the optimal real estate solution. Services for relocations, consolidations, subleases, acquisitions, and dispositions include strategic planning, demographic and site consulting, comparative financial analysis, construction, and post-occupancy services. Leasing, negotiation, letting, investments, redevelopment/transformation (residential & hotel), office development, tenant representation, office agency, sale, sale & leaseback, land and/or office acquisition. 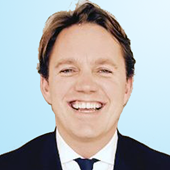 Maarten has been working in the real estate business since 2003. He started his career at Meeus. In 2007 he switched to Parc Makelaars as an Real Estate agent and switched to the Colliers International Office Agency team in 2017. Since then Maarten has been working as a senior Real Estate agent in the greater Rotterdam real estate market, advising landlords and investors. 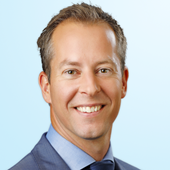 Besides his work as a senior Real Estate agent, Maarten is a memebre of a various number of business associations. This enables him to advise our local, regional end international clients on the various challenges in their real estate portfolio. 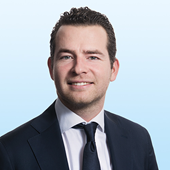 Senior Advisor at the Colliers International Eindhoven for 6 years. Interest in offices and industrial. Seeking new market opportunities by having great empathy for entrepreneurship, always looking for the right match between Landlord's properties and user requirements.​ Building strong relationships with my clients due to my personal approach, loyalty and skills. After writing his thesis on the Rotterdam office investment market at Chalet Group and finishing his Real Estate Management study. Jasper started as Junior Asset Manager by Chalet Group. As Junior Asset Manager his (commercial) focus was on a real estate portfolio in the greater region of South-Holland. 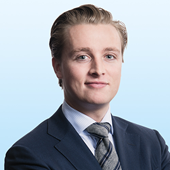 Since 2018 Jasper is part of the agency team in the greater Rotterdam real estate market, advising landlords and investors. His focus is on Offices. Roderick is a member of the Office Agency team in the Netherlands. In this role he advises different types of (corporate) clients on real estate with negotiations on the acquisition and disposition of commercial real estate. Furthermore he advises private equity, institutional and private real estate investors with buying and selling office properties in the Netherlands. Roderick holds a Masters degree (LLM) in tax law. Responsible for landlord and tenant representation in Greater Amsterdam. After a period of 15 years in residential real estate, I started in September 2013 at the valuation department of Colliers. After more than three instructive years, the broker's blood has started to tickle again and I have switched internally to the brokerage department of Colliers. Here I specialize in the management of special management sales and auction trajectories. From our office in Amsterdam I supervise the sale of distressed real estate across the country for various clients. Where necessary I switch internally with our specialists to provide our client with the right advice. In addition to this specialized sales support, you can of course also contact us for the normal buying/selling and leasing activities of industrial and logistic properties in the region Great-Amsterdam, Flevoland and Utrecht. 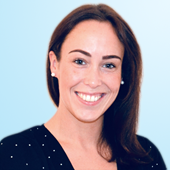 I have joined Colliers International REMS at June 2013 as Asset and Property Manager. Experience in commercial real estate for more than 16 years, as a real estate agent for lease . Highly interested in Retail and Offices. Clients are mostly national and international. Commercial driven, always searching for ways to improve. Looking for the personal aspects in business relations. Since May 2016 I became an Account Manager at Colliers International REMS Offices BV. Since May 2018 I joined Colliers International Agency B.V. as a broker for Industrial & Logistics real estate in our office in Rotterdam. Are you looking for suitable tenants for your office or industrial space? Or would you like to sell your real estate on a short term? We ensure a fast and professional lease or sale, accomplishing a high occupancy rate and giving you the chance to invest in new opportunities. Judith has over 20 years experience in real estate. 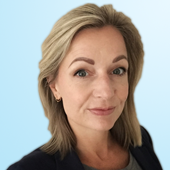 She is the team assistant for the Real Estate Agents and the Valuers in Eindhoven.